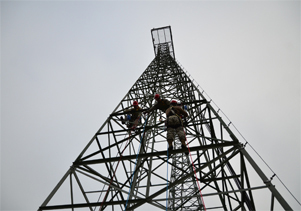 Ellis Fall Safety Solutions (EFSS) has over 40 years of experience in providing expert fall protection assessments, training, equipment, installations and support for workers at height. 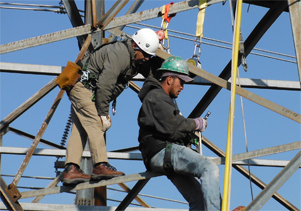 Full compliance with OSHA Fall Protection Regulations, ANSI Z359 Standards and best industry practices is our specialty. Find out more. 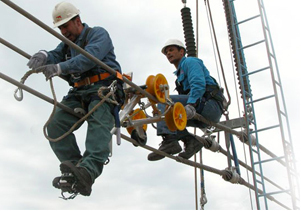 EFSS experts visit your site and conduct a thorough assessment to identify problem areas and provide detailed, step-by-step plans to ensure both compliance with the law and to maximize on-site safety and fall protection procedures. 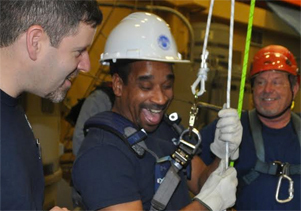 EFSS provides on-site training and written course materials for your workers and supervisors. 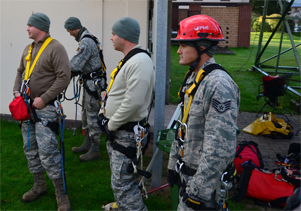 Your employees will learn the proper methods and techniques for staying safe when working at heights. Ellis Ladder Improvements (ELI) develops and offers fall protection products not readily available on the market. ELI offers products such as fixed ladder protection systems, horizontal grab bars, roof hatch systems and portable ladder extensions. Ellis Litigation Support (ELS) provides expert witness assessment and testimony when you do suffer a lapse in fall protection resulting in litigation. 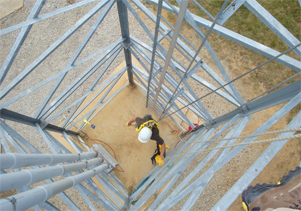 Should you experience an accident we offer world renowned expertise in fall safety and fall protection engineering. Rely on our EFSS Learning Center as your fall protection resource for up-to-date fall protection compliance requirements, best industry practices and current fall protection news. Special needs are met through top structural and mechanical engineers and local fabrication to meet clients needs. A focused Hierarchy of controls should begin and end through engineering as: Elimination or Substitution, Guards/Railings, Safety Factor, Redundancy and Reliability.